I realised recently that quite a big event in LP’s life happened recently, at the grand old age of 21 months, and I didn’t blog about it – I think having a new baby has overshadowed a lot of things and so I’ll be documenting them as and when I get around to it. Up until we found out we were pregnant again, LP had the ‘baby room’ in our house, there was our room and a spare room for guests. I decided during the pregnancy that we should get the spare room ready to be LP’s ‘Big Girl’ room so that the new baby was ready to move into the baby room, her room would be ready for her to go into. 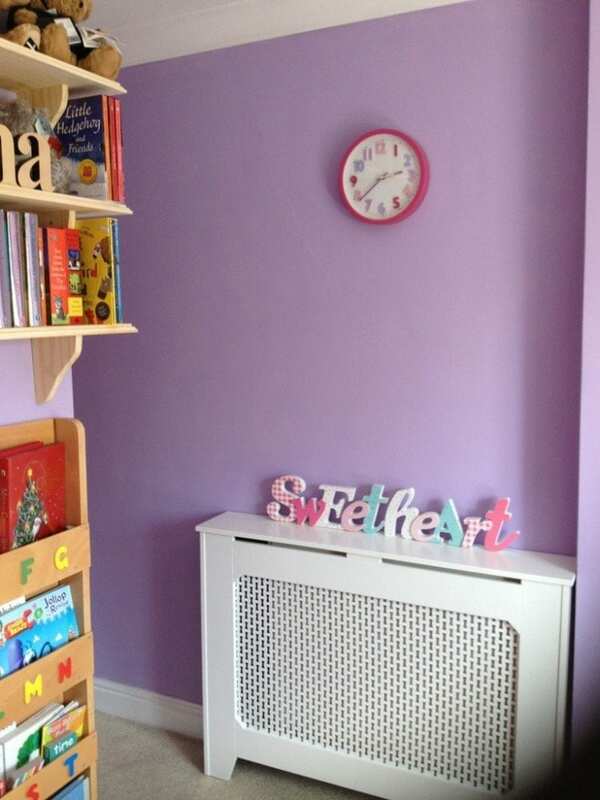 We spent the pregnancy sorting odd jobs around the house including plastering, decorating and organising LP’s new room. We decided early on that we would move her straight from the cot into a single bed. We thought that the toddler bed stage was unnecessary – an added cost and just delaying the inevitable. After her room was ready we started to get her ready in there before her bath in the evenings, we’d put her pyjamas on in there and we’d read her books laying on the bed. After that we’d take her back into the baby room to sleep in her cot. We also spent time making sure that she could climb on and off the bed by herself. We were hoping that over time she would get used to the room, it would be a gradual transition and she would be happy to move into that room when she was ready.We were planning on keeping the new baby in with us for 5-6 months and so we knew that LP wouldn’t ‘need’ to move into the new room until October/November time. 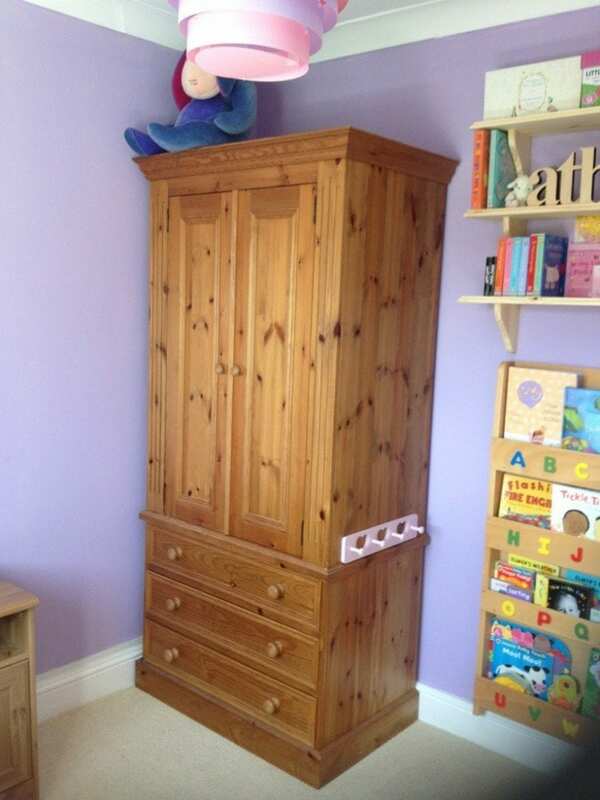 When Little Man arrived LP was sleeping in the baby room where the changing unit and wardrobe is. 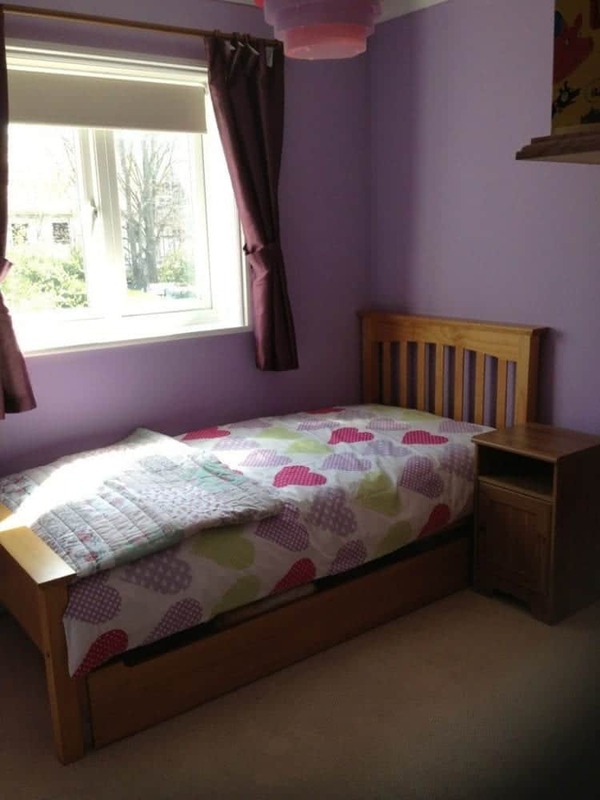 We set up in our room the crib, nursing chair, change mat etc to use overnight but pretty quickly we realised we couldn’t be using this set up for 6 months – turning on a light to change nappies, waking the other parent up during changes. It just wouldn’t work long term with both parents needing at least some sleep. It also meant we didn’t have access to any of LM’s clothes or changes of bedding overnight as it is all kept in the baby room. We decided to move LP into her big girl room before Hubby finished his paternity leave. We picked a day, set up the baby monitor, put the guard rail on her bed and just went with it. 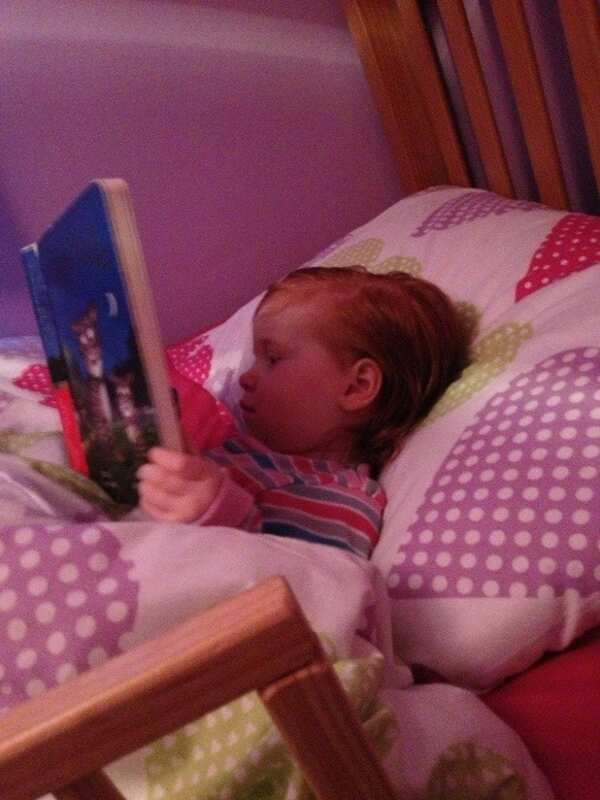 Because we were not only moving her to a single bed but also making the transition from sleeping bag to duvet the most emotional bit for us as parents was when we’d got her ready for bed and tried to explain to her that she’d be sleeping in this bed tonight. We hadn’t put her sleeping bag on her and she immediately toddled off, in her sleepsuit, into her baby room mumbling ‘errr, errrr’ to herself and then with total glee she shrieked ‘There it is!’ having found her sleeping bag on the side of the cot and proceeded to drag it into her new room. She was delighted to have found it and explaining that she didn’t need it anymore was incredibly hard. The following couple of nights we had a repeat of the first night but she only cried for ten minutes. After that every night she went to sleep almost immediately and has slept through. She even hasn’t got out of the bed yet – not knowingly anyway! 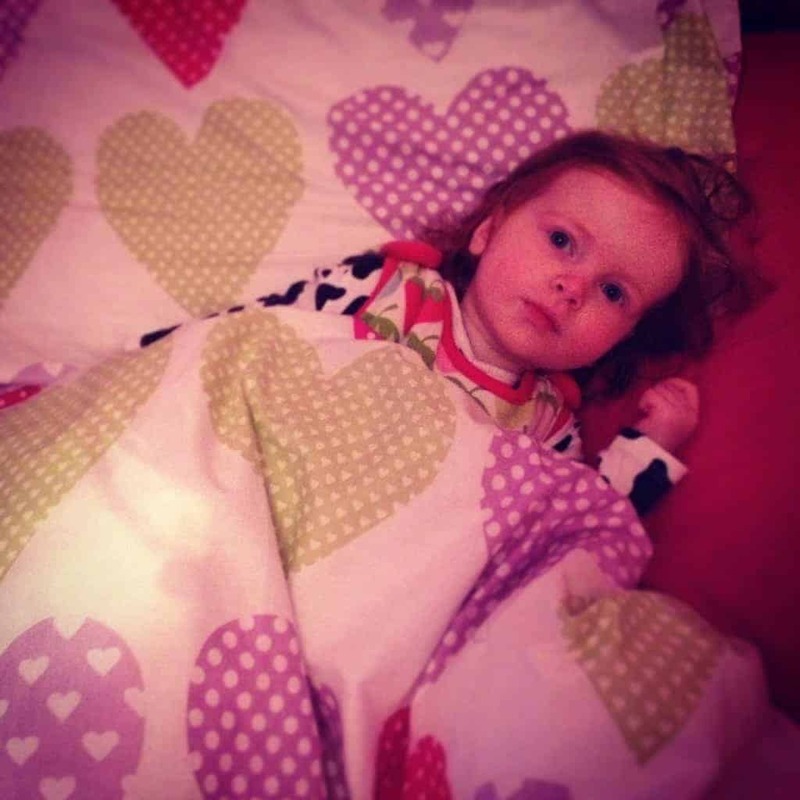 There have been two nights where she has woken us up crying and standing by the side of the bed – she’s either climbed out in her sleep or fallen out but either way after a quick cuddle and resettling her in bed she slept through until the morning. LP now knows her new room as ‘Her Room’ and the room with the cot is ‘Baby’s Room’. The transition was amazingly easy – LP loves her bed, gets into it willingly and loves the duvet – pulling it up over herself as soon as she’s in the bed. I think sometimes with children we underestimate them. 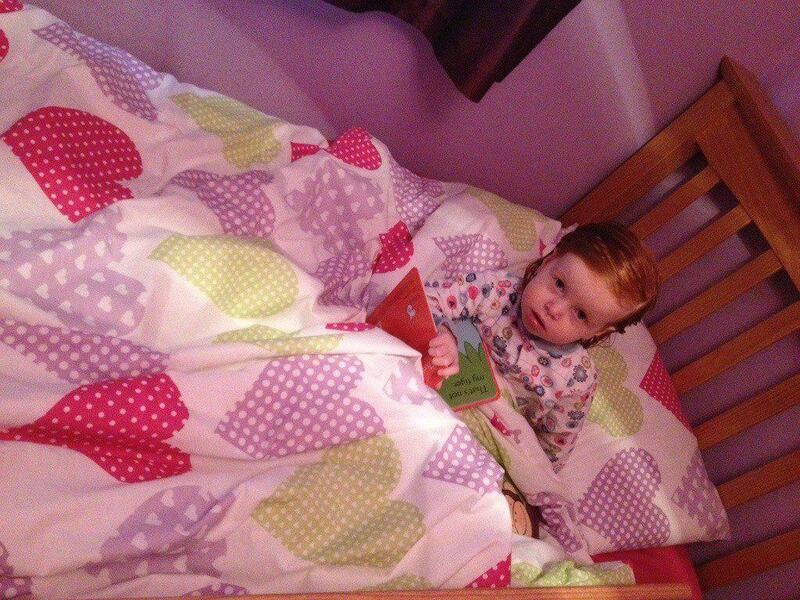 I thought LP was going to hate her new bed, hate the duvet, would climb out endlessly and need resettling constantly. 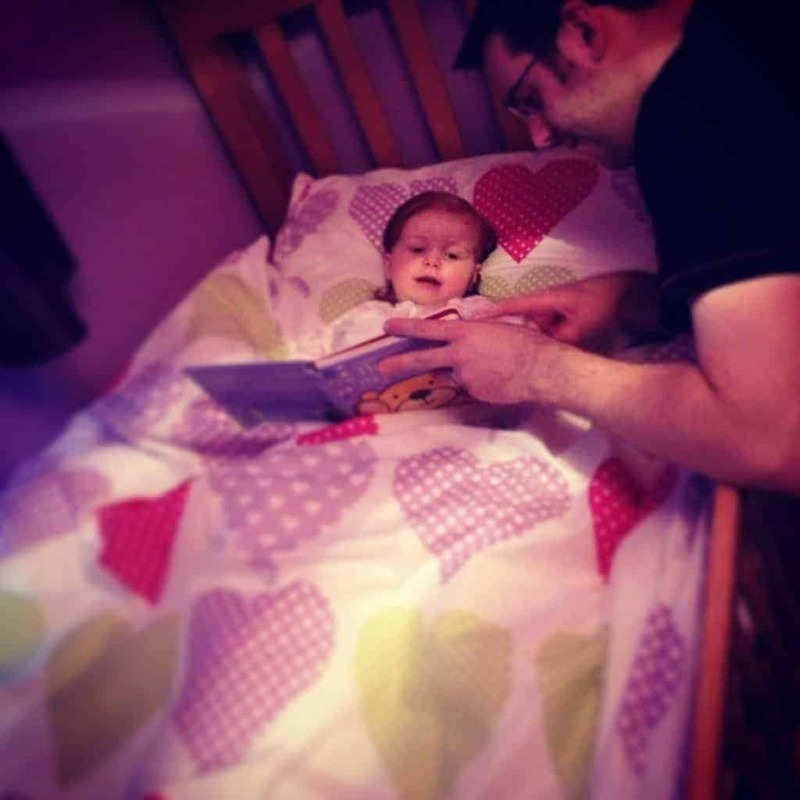 After having 15 months of rocking her to sleep before she started self settling in the cot I was terrified that we would have complete regression and a hugely stressful experience. In the end LP did amazingly, yet again she surprised us and we now have our Baby Room back ready for whenever Little Man makes his transition into it!